Been trying to tame your frizz with styling products? Uh-oh. My hairstylist thinks you&apos;re doing it all wrong. Don&apos;t kill the messenger—I happen to be one of those annoying people who don&apos;t actually get frizz—but I have some important information to relay from Tony Chaar, Toronto-based celebrity hairstylist and all-around hair genius. Tony is my trusted longtime colourist, and you guys also know him from his reader Q&A column and this video we did together about the art of the professional blow-dry. The man is full of tips. Seeing as we get so many questions about The Frizz Problem (TM), I decided it was high time to pick his brain on this tricky topic. His approach, in a nutshell? Rather than trying to smooth it down just before or after your blow-dry, the BEST way to fix frizz is to prevent it from happening in the first place. "The only way to treat the frizz problem is moisture, because that&apos;s what frizz is—a lack of moisture," says Tony. "You need to moisturize your hair in two ways, and you&apos;ll see results within three to six months of starting this system." What system is that, you ask? Read on, my friend! "Liquid protein re-builds the protein in the hair," says Tony. 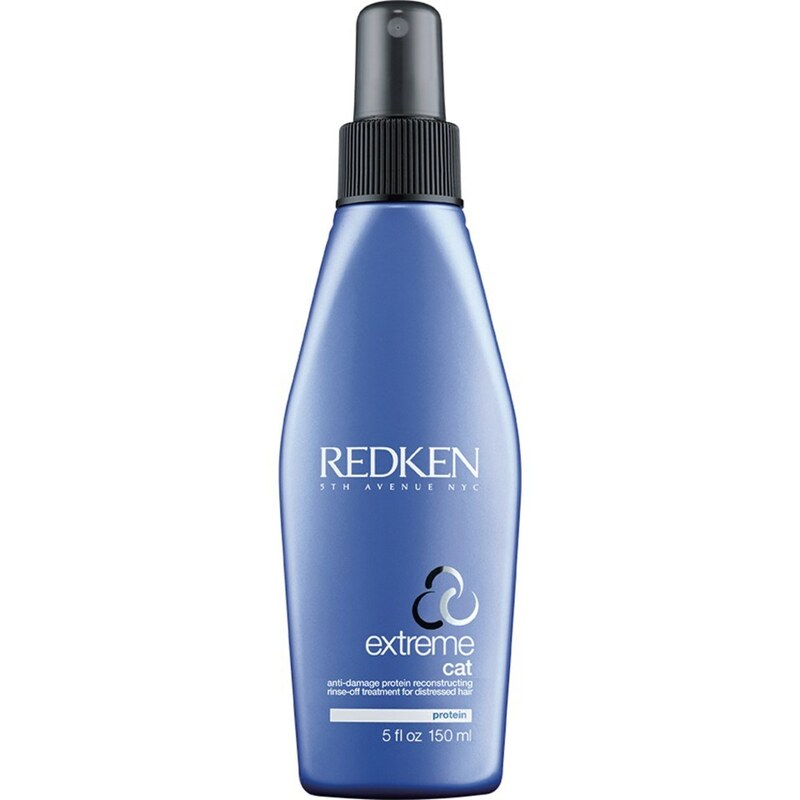 "It opens up and penetrates the hair to reconstruct the fibres. Once these fibres get reconstructed, the hair is no longer standing up, creating frizz. This is extremely important." New Kérastase Fusio-Dose treatments are available at salons. If you&apos;re fancy, you can do liquid protein at many salons. 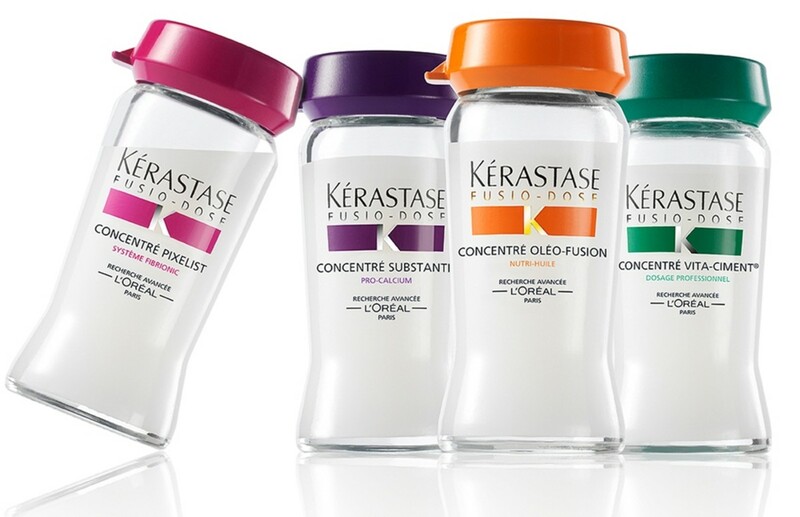 Kérastase, for example, has a new in-salon Fusio-Dose service that lets you customize your treatment. You get to choose from one of four concentrated elixirs (shine, nourishment, strength or volume) and one of five boosters (nourishment, smoothness, shine, body or strength). The strengthening ones are going to have the most protein. I had this done at a salon in the fall and my hair felt super-soft and extra-silky for at least a week after! 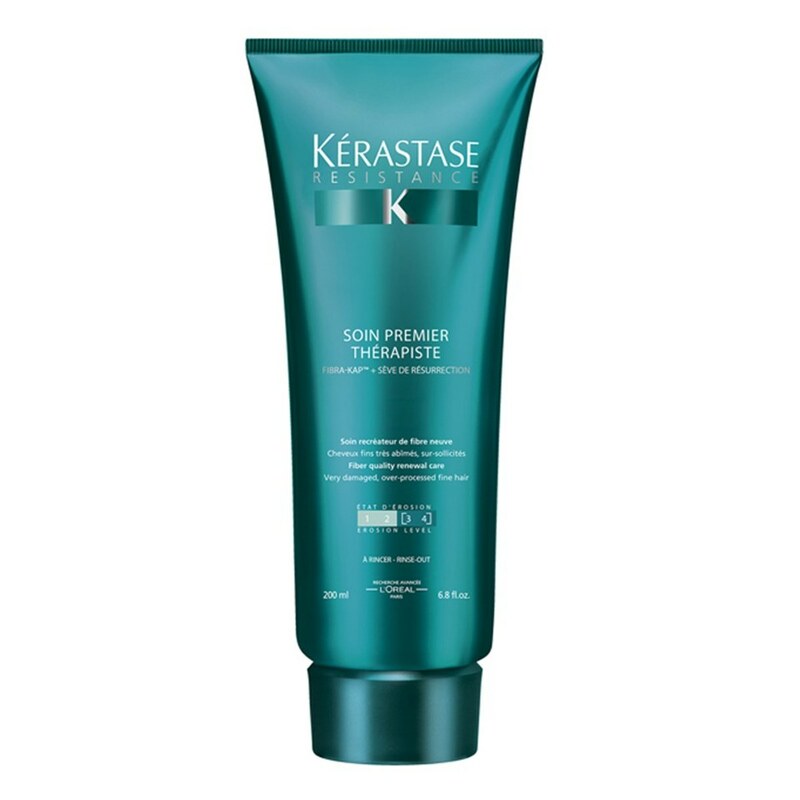 Kérastase also used to sell little vials of liquid protein for home use, but I think those got discontinued—so now I believe their main home protein option is Soin Premier Thérapiste, a pre-conditioner that I haven&apos;t tried yet. But not to fret, here are a few more liquid protein options! 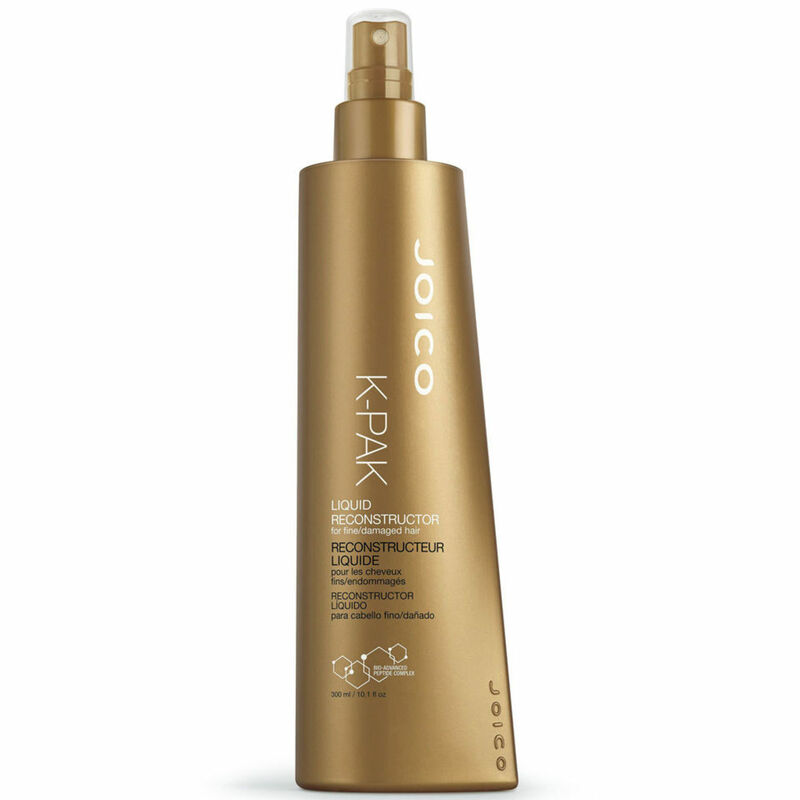 Another good one (especially for fine hair) is the Joico K-Pak Liquid Reconstructor. 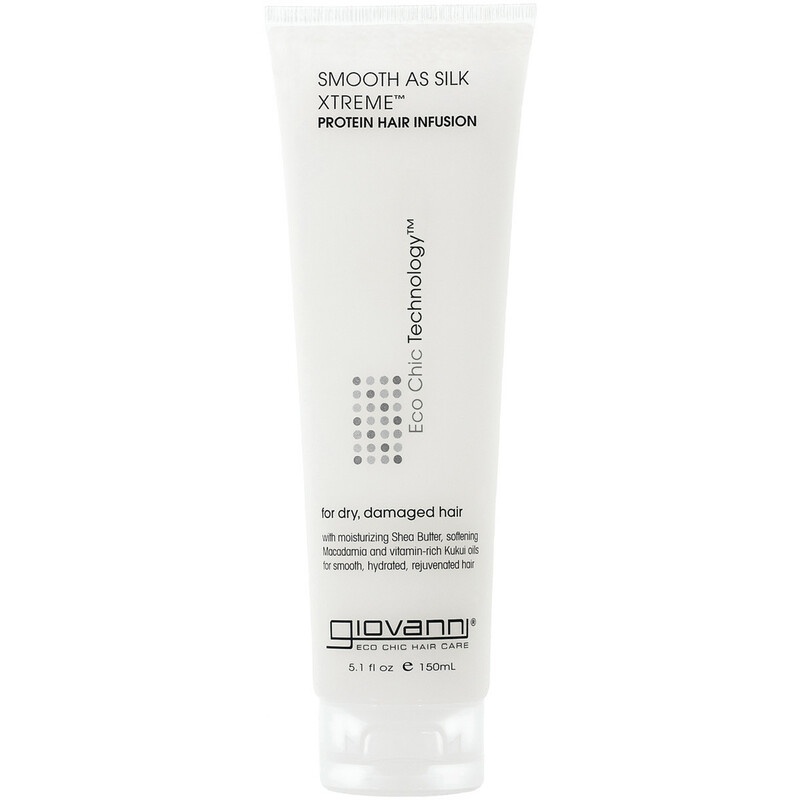 At the drugstore, the best option I&apos;ve found, which also happens to be mostly natural, is Giovanni Smooth as Silk Xtreme Protein Hair Infusion. No matter which treatment you choose, follow package directions... and don&apos;t do protein treatments more often than every three weeks! Otherwise, they can make your hair brittle! "You can do liquid protein once a month, or if you want to push it, every three weeks," says Tony. "I push it for certain people—for example, if your hair is colour-treated or if you&apos;re a health freak like me." "Once you start re-building the hair fibres every three to four weeks, then you can do another form of moisture, which is the mask," says Tony. "You&apos;ve reconstructed the fibres from the inside, and now you have to go on the outside." Any good, professional-quality moisturizing mask will do, he adds. He also likes Kérastase masks, which are pricey but very concentrated, so you only need a tiny bit. If you have curly hair, the newest one is Masque Curl Idéal, just hitting salons this month. Phyto masks have always impressed me over the years. 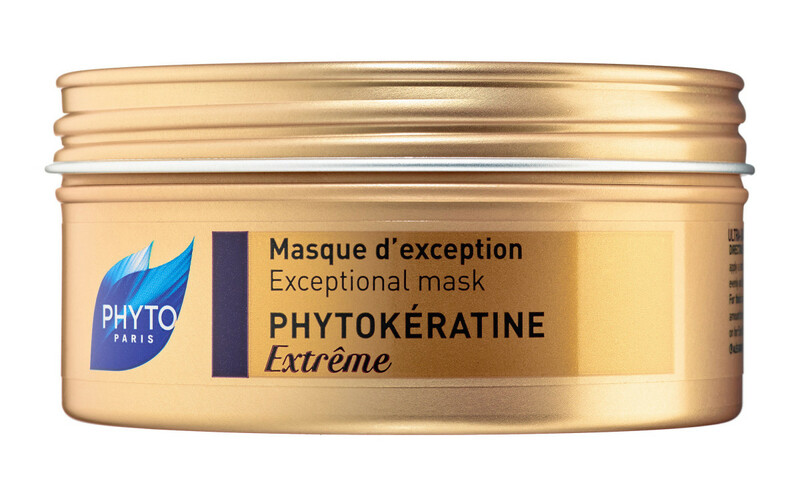 I recently got a sample of the Phytokératine Extrême Exceptional Mask and it looks so yummy, I almost want to eat it. The one I swear by most is the all-natural World Repair Deep Conditioner, which made such a difference to my hair health that Tony&apos;s assistant (who regularly shampoos me) commented on its improvement, without knowing what I was using! I love it because it&apos;s salon-quality—formulated by Brian Phillips of Toronto&apos;s eco-friendly World Salon—but it doesn&apos;t weigh my fine hair down, like so many other professional brands. Whatever moisturizing mask you&apos;re using, "do it one week apart from the liquid protein," says Tony. "Then continue doing the mask once a week." Within six months or less, your frizziness should be well under control. "If you do the liquid protein every three weeks and the mask every week, within months your hair should have more shine and motion, because you&apos;re moisturizing it from the inside out," says Tony. "Your blow-dries will last longer, and when you touch your hair, you&apos;re going to like the feeling. This is the foundation for frizz. Once you have this foundation, the styling becomes easy." That&apos;s right, you won&apos;t need need to rely so much on stylers! "Weather-proofing products can work on frizz to a certain degree, but if you don&apos;t have the foundation, the moment you go outside and there&apos;s a bit of dampness in the air, or drizzle or wetness, your hair is going to frizz out. That happens with many types of hair, not just curly hair. 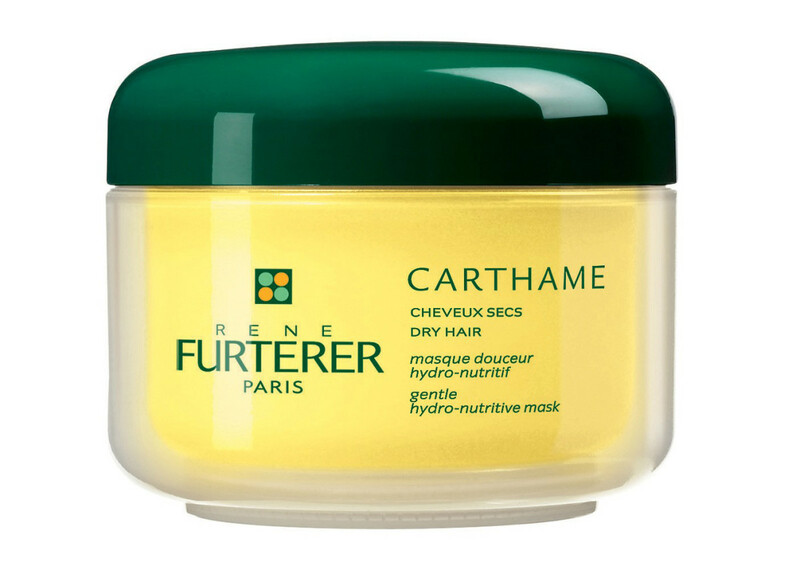 The only thing that wins the fight against moisture in the air is moisture in the hair." How profound, that last sentence—it even rhymes! Now for what NOT to do. Don&apos;t be tempted to fight frizz by putting straight oil in your hair (olive, coconut, whatever). According to Tony, it&apos;s a bad idea. "People put oils in their hair, and they believe they&apos;re moisturizing. This is the biggest mistake. When you&apos;re putting oil on the hair, you&apos;re actually choking the cuticle so hard that it cannot breathe. 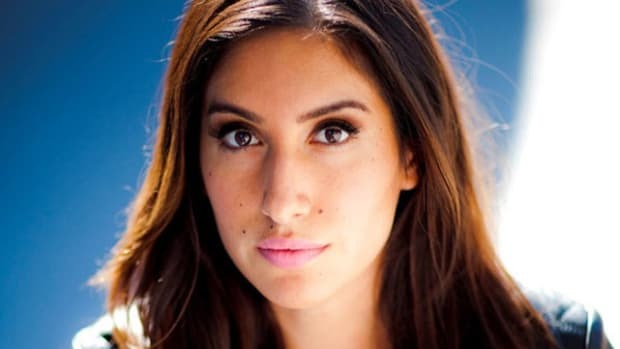 Yes, your hair will be shiny—because it&apos;s greasy. But you&apos;re not opening anything. Any oil you apply is just going on the outside. It&apos;s not moisturizing because the cuticle is not being penetrated." Better to use a pro-quality mask that has been specially formulated to deliver moisture and other benefits, without the heaviness. "Masks have so many different vitamins that they&apos;re offering to the hair without choking it to death," says Tony. "That&apos;s the difference between the masks and the oils. The masks actually have lightness to them, and give your hair vibrance. They&apos;re created by companies that do a lot of research on what&apos;s best for your hair. Oil is just oil—it does make your hair shiny, but there&apos;s no life to it. It&apos;ll weigh you down." 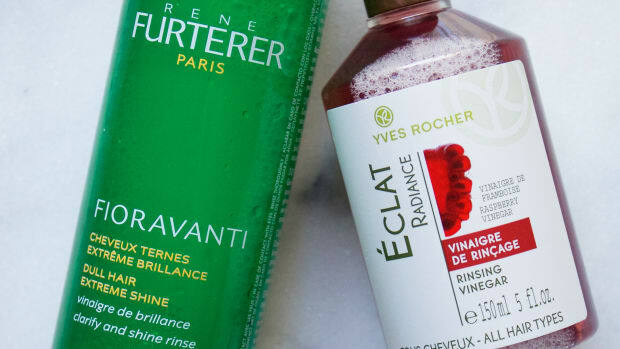 Now, since he mentioned styling products... here are his top picks for the frizz-prone. 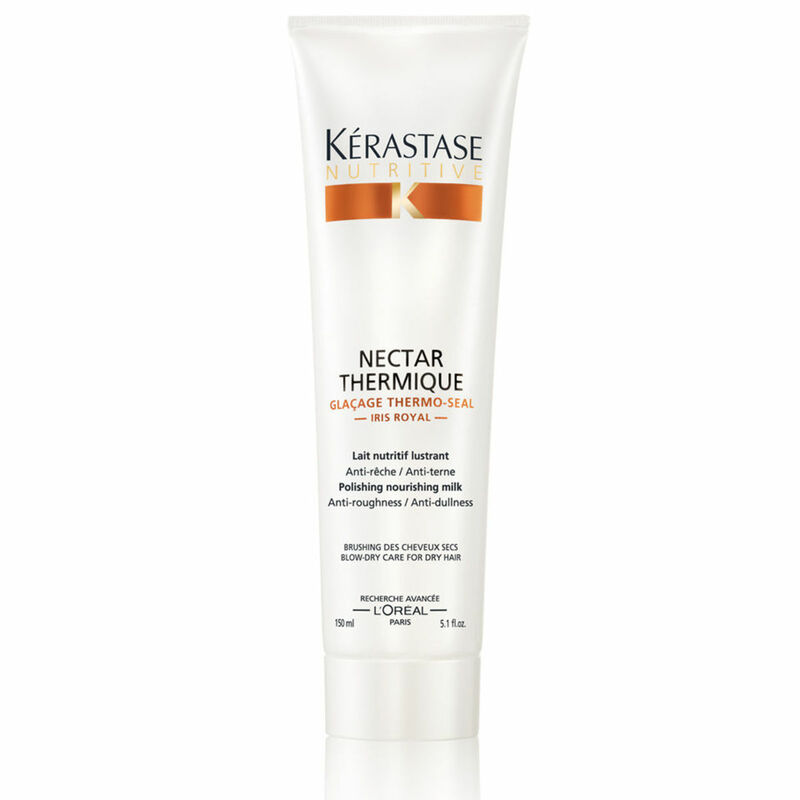 First, "I would use the Kérastase Nectar Thermique Polishing Nourishing Milk," says Tony. "This stuff is amazing. It&apos;s like honey. It&apos;s so light; it&apos;s not just for dry hair. Apply it to wet hair but just stay off the roots. It has no hold, but gets activated when the dryer hits it." 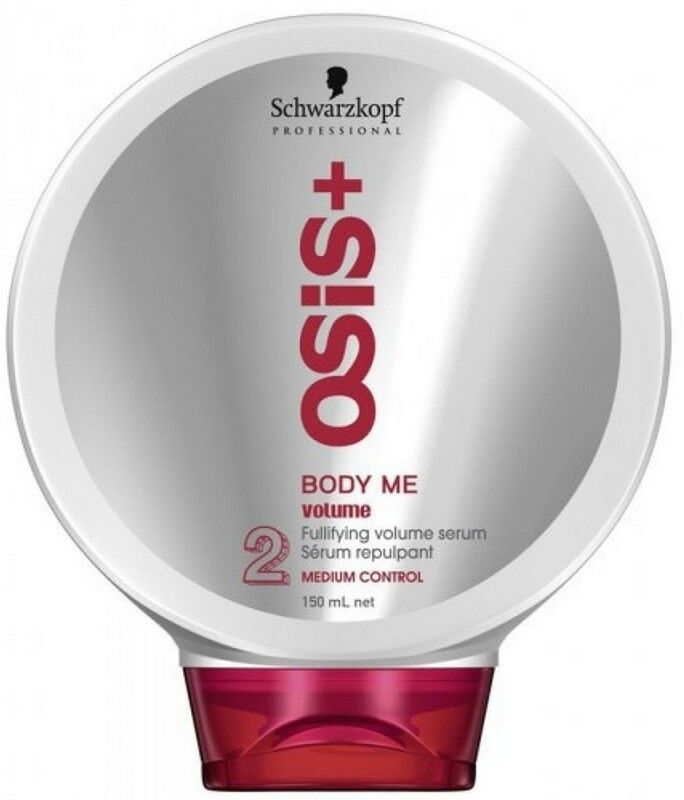 "If you want a little extra volume, I usually mix the Kérastase with Schwarzkopf Osis+ Body Me Fullifying Volume Serum. 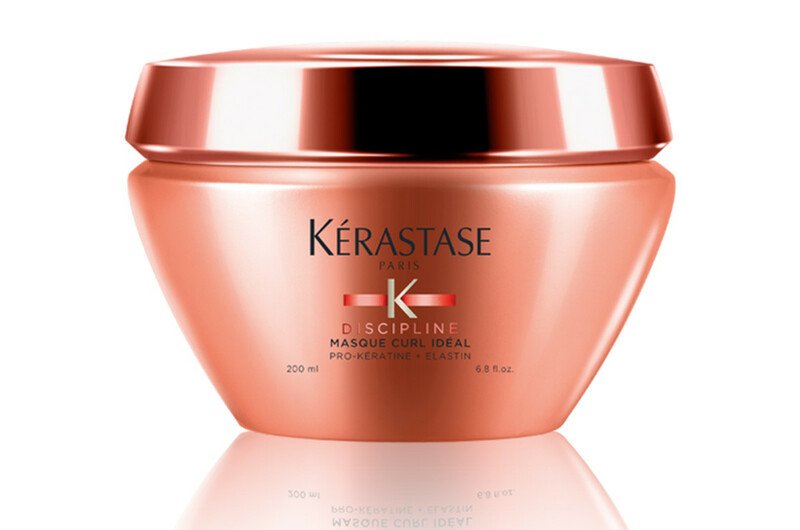 The Kérastase gives me the smoothness and anti-frizz action, and the Schwarzkopf gives me a bit of bounce and motion. Because even if you don&apos;t want frizz, you still don&apos;t want your hair to be pancaked to your head." The finishing touch? 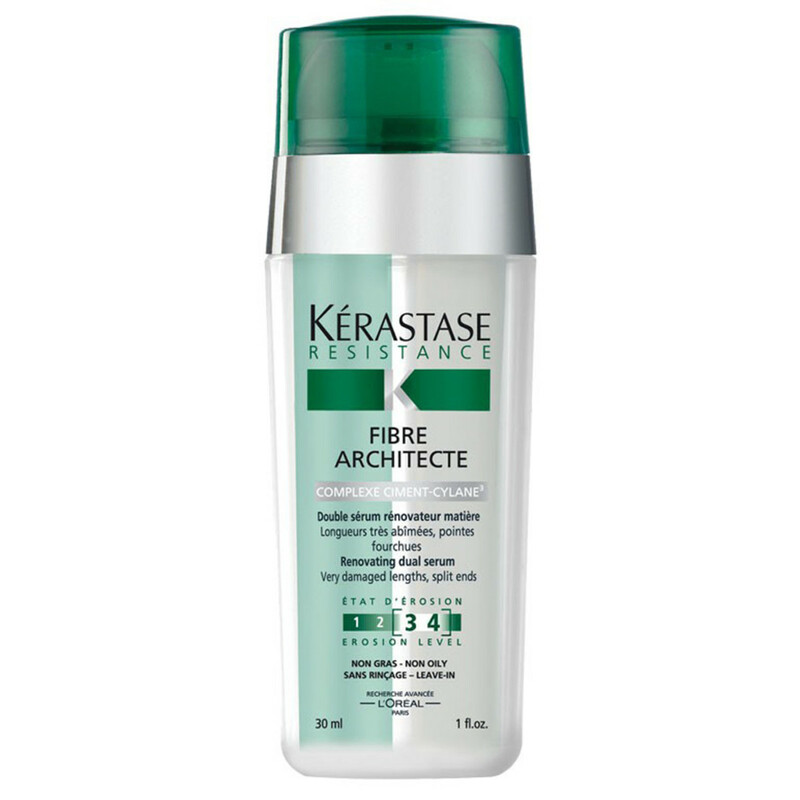 "At the very end of your blow-dry, you could use Kérastase Fibre Architect," says Tony. "You only need two drops, and if there are any little flyaways, the fibre brings them together. It has no hold—the only purpose is to help seal the fibres." Voilà, you are officially frizz-free! Don&apos;t forget that the more you blow-dry, curl, flat-iron or colour-treat your hair, the more diligent you must be about following the two-step system of protein treatments and moisturizing masks. "Whatever you do—heat-styling, colouring, highlighting—you are taking away moisture," says Tony. 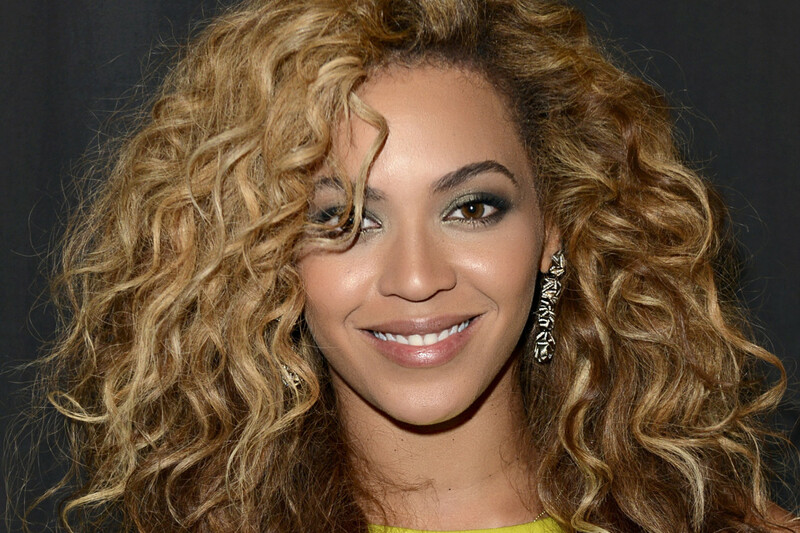 "Whenever we take moisture out of the hair, we have to replace it. If you don&apos;t replace it, the frizz will increase." Do you get frizzy hair? Have you tried any of Tony&apos;s tips or favourite products? What frizz-fighting method works best for you? Want healthy hair that's strong—and long? 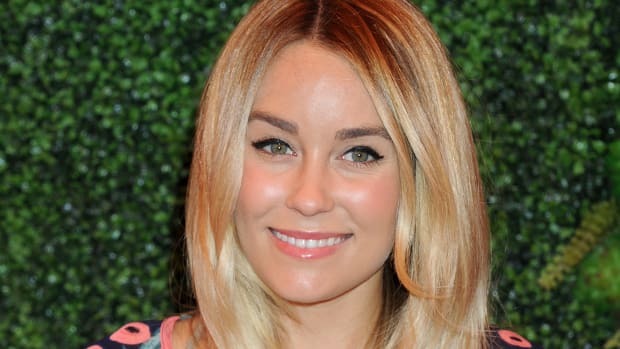 6 tips from a top nutritionist and a celebrity hairstylist. It's one of the best-kept beauty secrets.